In the midst of our busy lives, many writers dream about getting away to some secluded haven with nothing but a laptop and a pile of books. If only we could escape all the distractions, we imagine we’d be blissfully focused and creative from dawn to dusk. The reality, however, is that most human beings are not built that way. In fact, it’s been estimated that most of us can do no more than 4.5 hours of our best, focused creative work each day, usually in three 90-minute increments. (For more on this idea, read this article from Tony Schwartz, founder of The Energy Project.) And we need to make sure we build in time to recharge our batteries. 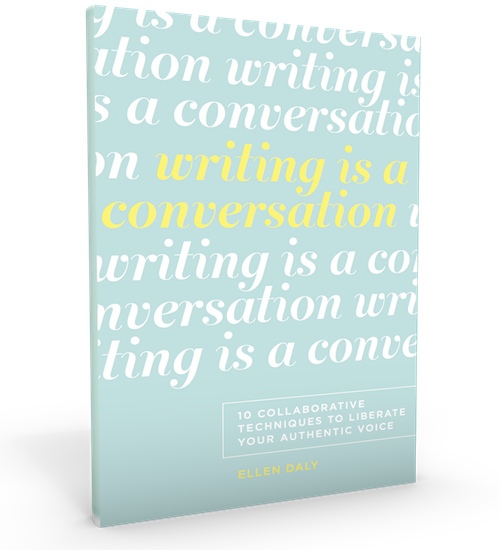 Writing retreats are a wonderful way to make progress on big projects, (for all the reasons I explained in Planning Your Writing Retreat Part I) but to make them productive and satisfying takes planning. If you do have the opportunity to set aside a few days or weeks to focus on your writing (whether at home or away), it’s important to think in a strategic and realistic way about how you’re going to most effectively use your time. 1. Prime Time—this is your best, most focused time, which you should reserve for doing the most creatively challenging work. Usually this means writing! Try to schedule 4.5 hours of this, in three 90-minute segments. During this time, turn off all other distractions (email, phone, Facebook, etc.) and also resist the temptation to get lost in doing research (which can be done at other, less focused times) or working through your “to do” list. When scheduling your Prime Time, think about what time of day works best for you in terms of your energy level, alertness, etc. Some people find that they are at their peak early in the morning; others prefer afternoons or evenings. If you schedule your segments consecutively, take a break between them to move, stretch, and refresh. You might feel like this is not enough—you’ve taken this precious time out to write and you should “push through” for as long as you possibly can. But I encourage you to try limiting your best creative time. You may be surprised by how productive you can be. 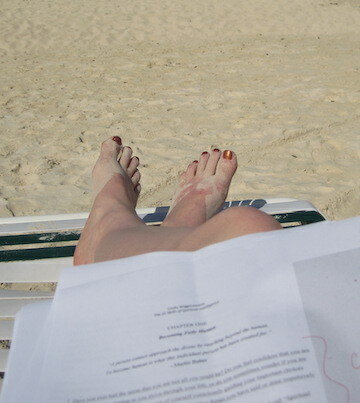 I once did a week-long writing retreat with one of my favorite clients in Grand Cayman. We wrote every morning for four or five hours and then spent our afternoons on the beach. And by the time we reluctantly headed home, we’d written almost half of the first draft of her book! 2. Task Time—this is time when you can work through activities that require less focus and creativity but that still contribute to your overall project. For example, if you’re working on a book project, these might include research tasks, or parts of the writing that are more technical and less creatively demanding in nature. If you’re working on a book proposal, these might include writing the marketing plan or researching competitive titles. I find it helpful to schedule this kind of work at times of day when I know I’ll be less focused but I still want to be productive. I also sometimes use it to strategically “take a break” from the tough creative work while still feeling like I’m moving the project forward. 3. Review and Editing Time—this is time that you schedule to review and edit your own work. You may decide you don’t want to do this at all during your retreat. If you’re someone who tends to be self-critical, it can be healthy to “turn off” that function during a period when you want to stimulate creativity, and come back to edit at a later stage. If you do decide to self-edit during your retreat, it’s important to keep this activity separate from your writing time. Writing and editing require very different attitudes from you, and if you mix them up your creativity will suffer. When writing, many of us need to be able to temporarily suspend our critical functions in order to let the creative process “flow.” That’s why Hemingway said “Write drunk and edit sober.” Knowing that you have a separate time set aside for review and editing later will help you to feel comfortable doing this. 4. Renewal Time—this is time that you specifically set aside for activities that “recharge your batteries” and refresh you for the next day. They could include exercise, a beautiful walk, a nap, a massage, or whatever helps you unwind. Make sure you schedule some Renewal Time every day. And of course, your most important Renewal Time is your night’s sleep.